ABC will have full coverage of this year’s NBA Finals. The stage is set for this year’s clash of the champions as LeBron James and the defending NBA Champion Cavaliers facing Steph Curry, Kevin Durant and the Golden State Warriors for this year’s title. ABC, which is part of the ESPN family of networks, will carry full coverage of this year’s championship series between the teams starting Thursday, June 1 at 9 p.m. The full schedule for this year’s NBA Finals is noted below. Mike Breen, Jeff Van Gundy, Mark Jackson and Doris Burke will call the series for its eighth consecutive year together. Steve Javie will also be on hand offering analysis on the game’s officiating. This year’s NBA Finals marks the third straight year that the Cavs and Warriors have vied for the league’s top spot. It marks the 15th consecutive year that ESPN has produced the NBA Finals on ABC. The series will be simulcast on ESPN Radio, ESPN Deportes and online via the ESPN app. Marc Kestecher will anchor ESPN Radio’s broadcast of the series alongside Naismith Basketball Hall of Famer and analyst Hubie Brown and reporter Marc Stein. This year is ESPN Radio’s 22nd consecutive year covering the NBA Finals. Kevin Winter and analyst Jon Barry will provide pre-game coverage live on-site leading up to each game. ESPN’s The Jump and NBA Countdown will provide additional NBA Finals coverage throughout the series. The Jump will air on-site throughout the series from 3 p.m. to 4 p.m. while NBA Countdown will air before each game and during halftime. The pre-game show will be evenly split between ESPN and ABC. As if that is not enough coverage, ESPN’s First Take will also offer its own special coverage with several special prime-time broadcasts. ESPN3 will also offer a second-screen digital look at pre-game warm-ups, post-game press conferences and much more. ESPN International will broadcast each game internationally in Latin America, Brazil, the Caribbean and Pacific Rim region. The NBA Playoffs are in full swing, and NBA TV’s coverage of the playoffs continues April 24. NBA TV will have coverage of Game 5 between the Milwaukee Bucks and Toronto Raptors. Coverage begins at 7 p.m. ET with Spero Dedes, Grant Hill and Richard “Rip” Hamilton on the call. Reporter Jen Hale will be courtside for all of the latest in-game interviews and news. NBA TV will offer extensive pre-game, halftime and post-game coverage of the game as well as live coverage of the game. The Bucks and Raptors are currently tied at two games each coming into Monday’s game. The winner of this series will go on to face Cleveland, who swept Indiana in four games in the first round of the playoffs, in the quarterfinals. Football season is officially here. But not everybody has their eyes set to the gridiron. Turner Sports has announced early details for its coverage of the 2016 – 2017 NBA season. NBA TV launches its coverage of the 2016 – 2017 NBA season on Saturday, October 29th with a double header schedule. The day’s schedule begins with a matchup between the New Orleans Pelicans and San Antonio Spurs at 8pm ET. The Timberwolves and Kings follow at 10:30 pm ET. The schedule is just the first of 32 double header schedules that NBA TV has set for the season. NBA Fan Night will debut Tuesday, November 1st with yet another of those double headers when the Cavaliers host the Rockets at 7:15pm ET. The Warriors and Trail Blazers follow at 10pm. NBA TV will have a special day of coverage on Martin Luther King, Jr. Day with yet another double header schedule. The Hawks and Knicks will lead off the day beginning at 1pm ET. The Pelicans and Pacers follow at 4pm ET. 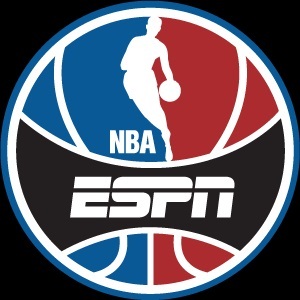 Along with the featured matchups noted here, TNT’s coverage of the 2016 – 2017 season includes multiple appearances by the Oklahoma City Thunder, Chicago Bulls, LA Clippers, New York Knicks, San Antonio Spurs, and Boston Celtics. The network’s full broadcast schedule for the 2016 – ’17 NBA season is noted below.